This teshuvah is the fourth in a series of teshuvot related to the yamim tovim. Check out the first, second, and third teshuvot as well. Each teshuvah is introduced with a small biography of the author, and teshuvot are chosen to reflect a diverse range of halakhic approaches featuring pre-modern and modern poskim from different geographical areas. 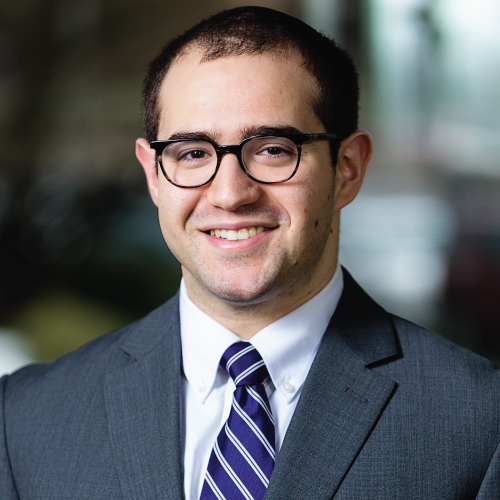 Thanks to Rabbi Avram Schwartz (YCT ’17) for selecting and translating these teshuvot. We hope that the studying of these teshuvot will enhance your preparation for the hagim. Rabbi Shmuel Ha’levi Wosner z”l (born in Vienna, 1913-2015) was a rosh yeshiva and posek in Bnei Brak since before the founding of the State of Israel. He was brought to Bnei Brak by Hazon Ish and became its rabbi. R. Wosner is recognized as a major posek in the Haredi world in both Hasidic and yeshivish communities, and his 11 volume responsa, Shevet Ha’levi, are widely cited. In this teshuvah, Rav Wosner addresses a problem common to many apartment dwellers: Lighting the Hanukkah lights more than 20 amot (approximately 30 feet) above the ground renders the act invalid. What should you do when the apartment is itself above that height? Is the lighting for the people in the house or for those on the street? This practical halakhic question also serves as a metaphor for thinking about our religious observance when we live in a secular society. Our observance, at the individual and even communal level, is primarily pointed inward; it is for the “members of the household.” But should it not, at least to some degree, be pointed outwards as well? Shouldn’t we be trying to bring our religious values into the larger societal discourse? 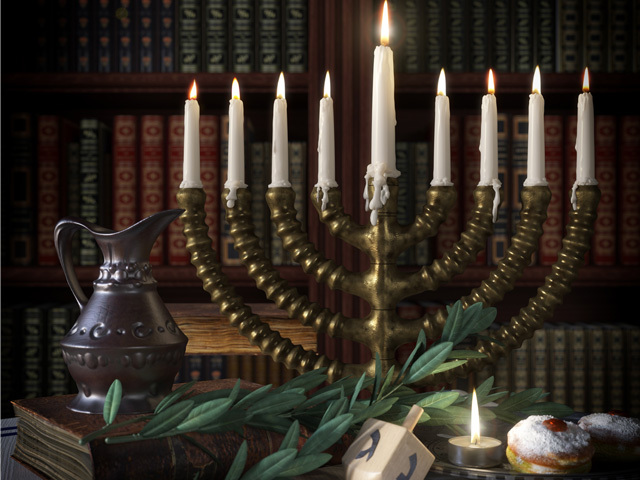 This Hanukkah, when we light our candles, let’s think of the best ways to balance these central aspects of Hanukkah – the lighting for the household together with proclaiming the miracle in the public sphere (pirsumei nissa). ואשר שאל במי שדר בקומה העליונה למעלה מכ’ אמה מרה”ר דאין פרסומא לעוברים ושבים האם ידליק בפתח ביתו מבפנים או שמא בפתח הכניסה לכל הבנין (כשיש בו עוד דיירים) וירד מדירתו וידליק, או דידליק ליד החלון כרגיל דיהי’ פרסומא ניסא כלפי אלה הדרים ממול בבנינים השכנים בקומות העליונות. ומ”מ מעיקר התקנה תקנו חז”ל שידליק סמוך לר”ה דאיכא פרסומא ניסא גם בחוץ ופליגי רש”י ותוס’ והפוסקים במקום ההנחה אם פתח הבית או פתח החצר, ובדר בעליה בפתח החלון, וכיון דהאמת הוא דאיכא שכנים מכמה צדדים שיכולים להביט בנ”ח, שלהם הוא תוך כ’ אמה, נוסף למש”כ הפמ”ג דגם למעלה מכ’ איכא היכרא קצת, מלבד היכר גמור לב”ב בפנים איני רואה סיבה לשנות המנהג מכבר להדליק בכה”ג על פתח החלון. ובשיעור מרחק של השכנים ממול לא קבלנו דבר אלא העיקר שאפשר להסתכל עוד בראיה רגילה דדוקא ממטה למעלה השיעור כ’ אמה דאין אדם משליך ראשו לאחריו להביט למעלה כמש”כ המאירי ריש סוכה. As to your question regarding one who lives on a high floor [of an apartment building], 20 amot above the public domain (i.e., the street below). In such a case, the [lighting of the candles] does not publicize the miracle to the passersby. Should that person light in the doorway of his apartment? Perhaps he should light in the doorway to the building and go downstairs to light? Alternatively, should he light by the window [in his apartment], as is the custom, such that [the lighting] will publicize the miracle to those who live on high floors in the building across from his? One should follow the custom to place the Hanukkah lights in the window of the house in order to publicize the miracle. The essential question here of lighting above 20 amot is not the same as that of “above 20 amot” discussed in the Gemara and Shulhan Arukh (Orah Hayyim, 671), where one does not fulfill their obligation, even bi’dieved (post facto). In that case, the candles are placed 20 amot above everyone including the members of the household (e.g., the candles are placed on the roof). That is not true when the lighting is done inside and the candles are lower than 20 amot [from the point of view of those living in the apartment]. In this case, one fulfills his basic obligation, according to the Gemara and Shulhan Arukh (OH, 671:7-8) since it is visible to those who live in the house. In such a case, [although one is primarily lighting for the members of the household,] it seems from Pri Megadim (Mishbetzot Zahav, no. 5) that one should still light in the window, even when it is more than 20 amot above ground level, since people in the street will notice the lights to some degree. [Although nowadays we primarily light for those inside the house,] the original enactment of the Sages was that one should light near the public thoroughfare in order to publicize the miracle outside as well. Rashi, Tosafot and other authorities disagree as to where one should place the lights (whether in one’s doorway or in the entrance to the courtyard); for someone who lives on an upper floor [the original enactment is that] the lights should be placed in the window (SA OH 671:5). In our case, the fact of the matter is that there are neighbors on a number of sides [of the building] who can see the Hanukkah candles which are within 20 amot from their line of sight. Additionally, according to Pri Megadim the candles are also somewhat visible [to those in the street below]. And finally, the candles are fully visible to the members of the household. Thus, I see no reason to change the established custom to light the candles in the window.